Shannon's Fitness & Dance is owned by Shannon L. Hockwater, MS. Shannon's Fitness & Dance is a fitness and dance studio located in Cheektowaga, NY. We focus on group exercise classes and small group and private training. Our mission is to motivate individuals to push their limits and reach their fitness goals. SFD specializes in bootcamp style classes, weight resistance classes, pilates and yoga. We also provide performance training programs and off-ice conditioning to local hockey teams and other sports teams. SFD is the home of the Adaptive Fitness Program for non-typical children and adults. SFD is not a membership based studio and only offer classes by package or drop in, with no additional fees. All packages are valid for a period of 45 days and no contract is required. 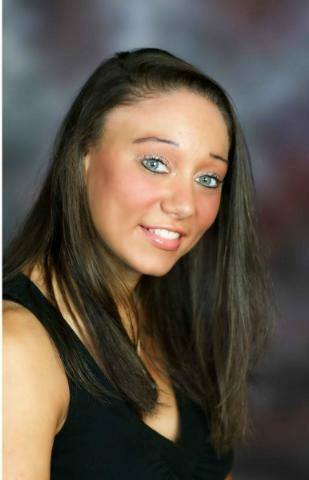 Shannon L. Hockwater, MS is the Owner of Shannon’s Fitness & Dance. She is known for her unique style and workout design. Shannon is a certified Group Ex/ Spin Instructor, Personal Trainer and Dance Teacher and has been teaching since 1999. She is certified through Mad Dogg (2008) and ISCA (2009). Shannon has been a Master Trainer with the International Sports Conditioning Association since 2009 and certifies other instructors and trainers internationally. Shannon attended Mercyhurst College and has a Bachelor’s Degree in Biology and a Master’s Degree in Immunology from Roswell Park Cancer Institute. Shannon has a strong background in dance, functional training, kettle bells, kickboxing, pilates, plyometrics, personal training, yoga, stretch science, suspension training, TRX, group fitness and speed, strength & agility coaching. Shannon teaches biology at Medaille College and epidemiology in the Master of Public Health Program at Daemen College. Shannon teaches exercise science classes in the Department of Health, Nutrition & Dietetics at Buffalo State College. She is also the Director of the Adaptive Fitness Program at Buffalo State. In 2014, Shannon opened Shannon’s Fitness & Dance and started providing the off-ice conditioning and performance training for local sports teams. In 2015, Shannon developed and codified the Adaptive Fitness Program for individuals of all abilities. Most recently, Shannon has engaged in research involving heart rate variability, flexibility and relaxation.